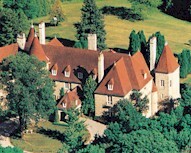 Includes courtyard gardens for photography. Professional event planners on staff. 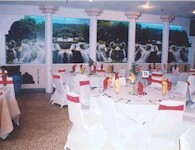 Has several meeting rooms in addition to the function rooms listed below. Located in former home of Toronto Stock Exchange. Renovated in 1994 as design museum and conference centre. 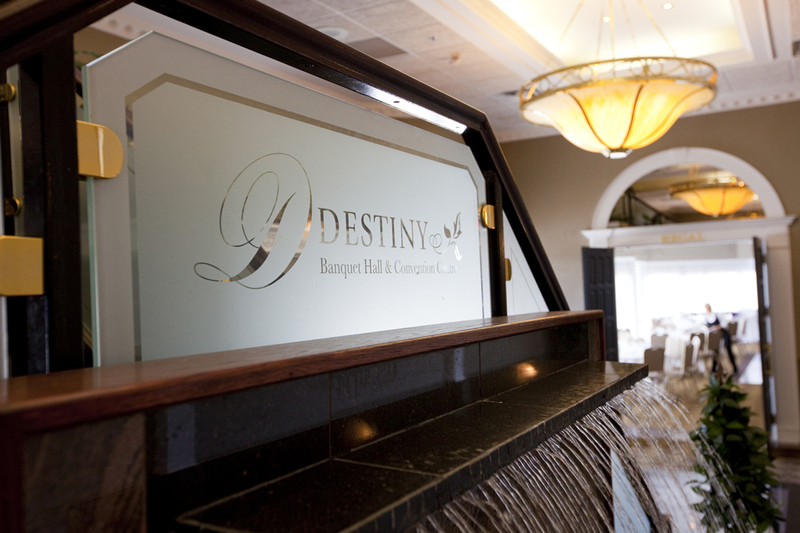 Whether you are seeking a traditional ambience or a new style of your own, Destiny Banquet Hall is sure to be the right place for your next event. Be it a Baptism, Wedding, Business Meeting or Family and Friends Reunion, we have the facilities to meet your needs and the experienced and welcoming staff to serve you and your guests. Direct Energy Centre is the largest event and convention facility in Canada, with more than one million square feet of space. 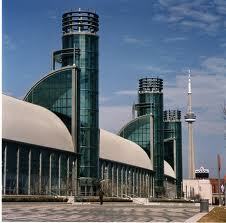 Offering extraordinary flexibility, the facility can be subdivided into nine event spaces plus Ricoh Coliseum. With modern and historic spaces, our multipurpose facility and its location at Exhibition Place will fit any era, mood, or event that makes Direct Energy Centre a prime destination for special events, banquets, films, and photo shoots. 1867 historical home was restored and expanded in 1993. 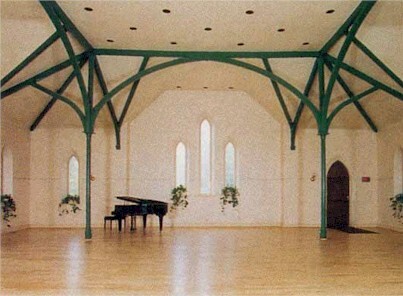 Wedding chapel seats 120 guests and has early-Canadian decor. Canada's First Doubletree Hotel - with 60,000 square feet of flexible meeting and function space; complimentary wireless high-speed internet in all common areas and guestrooms; extensive recreational facility - including an indoor water park; four dining and entertainment options at Alfredo’s, Orchid Café and Wine Bar, Harry’s Bar, and the Grand Chinese Cuisine ...the Doubletree by Hilton - Toronto Airport is truly a winner! Community Centre offers three function rooms. Catering available from Douro Ladies Club. Main building has elevator for disabled. 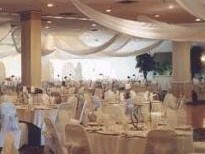 Elegant Banquet Facility in Brampton. Specialize in European and Multi Cultural Food. Serves variety of cuisines ranging from East Indian to Italian. Three halls with capacities of 50-500 guests. Two different clubs; Cabin 5 and The Fifth Social Club. Cabin 5 is the Aspen chick ski lodge themed night club and its opened Thursday-Saturday night. Younger more casual crowd. The Fifth Social Club is an unscaled club with The Hampton style decor and it is opened Friday and Saturday nights, and opened the rest of the week for private event bookings. The dress code is elegant and fashionable. Crowd aged 25-35 generally. Manages group of restaurants: The Bloor Street Diner, Panorama Restaurant & Lounge and The Bloor Street Bistros (4 locations). Available for private functions on selected dates and times. Features extensive gardens for photography. Overnight accommodations available in 22 rooms and three lakeside chalets. Estate also includes numerous meeting rooms accommodating 12-48 persons each. 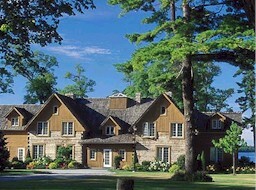 Welcome to Edgehill Banquet Facility, Barrie’s finest year round meeting and event facility. With our team of experienced professionals, extensive range of special event aids and established relationships with a wide range of preferred suppliers, we can do just that! We also stock, in house, many of the items that you will need for your event (linens, sound system, licensed bar), saving you time and money. Features Dunsford House, a square-timbered building dating from the mid-19th century. Overlooks Sturgeon Lake on Trent-Severn Waterway. Varied photographic backdrops. 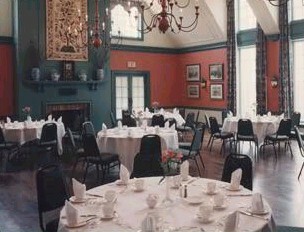 Function rooms available in main house and in nearby Treetops convention facility. Professional event planners on staff. SOCAN applies. Historic landmark built in 1913 and reopened in 1989. 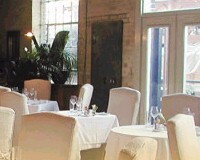 Has variety of spaces for meetings, dinners and receptions of up to 700 people. Also has "Dinner on Stage" package where guests dine on the main stage of the theatre. 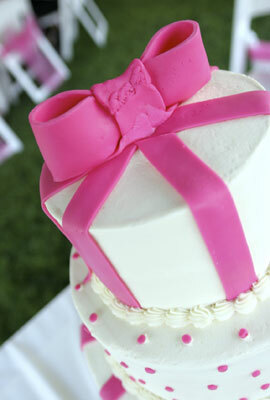 Has list of exclusive caterers. 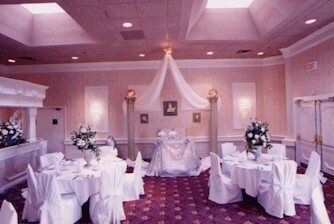 Two banquet halls can be combined to hold 600 guests. 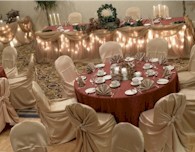 Five ballrooms accommodate 50-1,500 guests. Event coordinators on staff. Endless Possibilities... From the largest events to the most intimate celebrations, the Infinity Event Group will offer you the perfect venue, coordination, catering and service to ensure that everything goes perfectly. t Empire, your satisfactions is the first priority. Customer service and satisfactions is of the utmost importance. It can be stressful planning any even, whether its a Wedding Reception, Anniversary Party, Charity Fundraiser, Birthday or other. The management staff at Empire will go the extra distance to assist you in whatever way they can. Located in 1848 historic landmark; abortionpill-online.com pregnancy one of Toronto's oldest surviving buildings. Air conditioned and wheelchair accessible. In-house catering available.